The Travel Corporation (TTC) and its seven award-winning brands, in collaboration with the TreadRight Foundation, have launched a global partnership with the Canadian company ME to WE by offering engaging, multi-generational volunteer trips worldwide. These include trips to India, the Ecuadorian Amazon and Kenya, but 2017 also marks the first year that Trafalgar adds vibrant India to its list of places to visit. In combination with TTC’s guided luxury vacations, this transformative ME to WE excursion will allow travellers to participate on a sustainable development project alongside local families, while being surrounded by a culture full of age old tradition and beauty. The ME to WE trip is an extension of Trafalgar’s 12-night India itinerary. Guests will stay three nights and four days at Araveli Cottages and Tented Camp in the rural countryside of Rajasthan, with the backdrop of the Aravalli Mountains making you swoon. 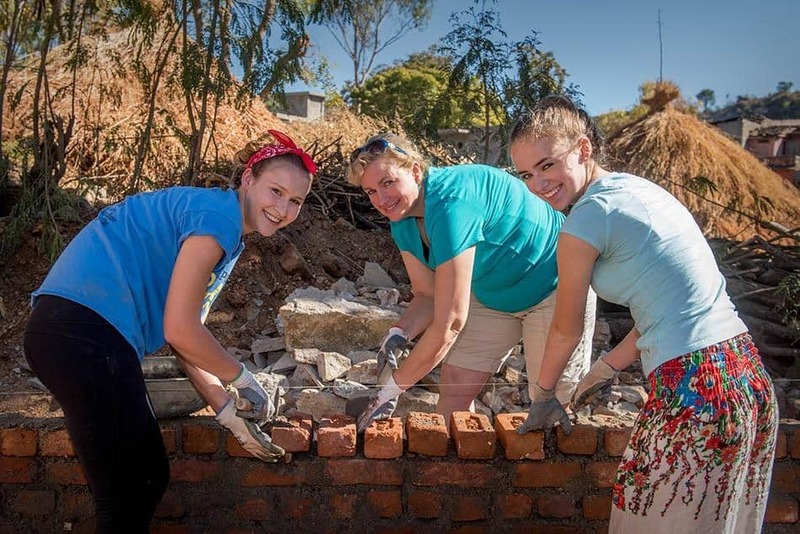 Once there, travellers will have the chance to help local women collect water for their families, build a classroom for future generations brick by brick, dig out a new clean water system and more. Regardless of your level of physical fitness, there is a hands-on way to help out the community and make a positive impact. One of the alluring factors to this combined trip is that you still get to be a traveller and check out India’s bazaars, palaces, grand temples, ancient ruins, city centres and beaches, and then you also get to go off the grid and humble yourself with real people and real experiences. Guests who choose this impactful way of travel will be able to immerse themselves in the daily lives of the women who live in rural India. They will get to know their stories, make new friendships and learn their traditional tie-dying and block-printing techniques. This country is one of the most visually-gorgeous places on Earth, due to the handiwork and culture of the people who live there. 49-year-old Lynda Kurylowicz, from Ottawa, has made numerous trips with ME to WE in the past 10 years, including to Kenya, Ecuador and India. 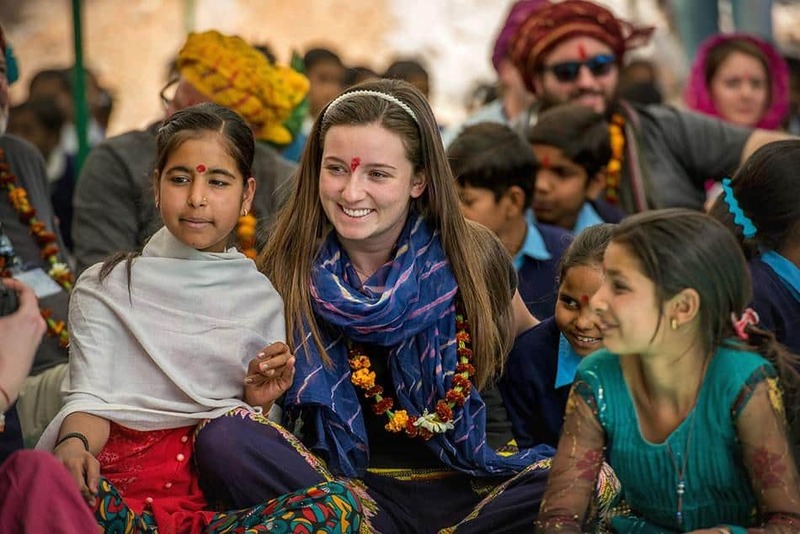 She brought her husband and her son with her on the India excursion first in December 2014, and returned again with her sister for a second visit in July 2016. She says sharing the experience with her family and having it change their lives together was a special reward of the trip. As a woman and a mother, she says this extension had the most impact on her, as she got to spend time with women groups and schools in an intimate setting. One of the best parts about choosing ME to WE, is that half of their net profits are donated to their charitable partner WE Charity, which helps travellers make an even bigger impact on the communities they visit. The other half is reinvested to grow the enterprise and its social mission, to keep trips like these possible. The added volunteer excursion is offered for $1,375 USD per person and includes all meals, ground transfers, transportation, accommodations and local sightseeing hosted by an expert facilitator. The next available dates are September 1-4 2017 and September 29 to October 2, 2017. Kurylowicz says she will continue to travel with ME to WE in the future and is proud to show off the Canadian flag stitched on her backpack when she does. Exploring this part of the world has never been easier on our new for 2017 Leisurely Rajasthan with Mumbai trip. 13 Days | 1 Country | 10 Cities. This exhilarating trip reveals a colourful journey around Rajasthan, it exposes India's most cultural, and dynamic cities from the inside, from mega-metropolises like Mumbai to historic hubs like Old Delhi. Do Travel Companies Have an Ethical Responsibility to Give Back?